Cloud hosting refers mainly to managing the network, virtual hardware, composite solutions and storage by a cloud vendor. The popularity of cloud hosting is growing daily. It is very convenient to have and has many useful functionalities. The user takes help of fundamental specifications to host its own services, applications, and data. This service is primarily used to house domains, manage databases and host websites. Nowadays, the call is on all about cloud hosting. This is because mainly it utilizes offsite server resources that can easily handle peak loads. For instance, The king and queen of a search engine, “Google” uses cloud hosting over thousands of servers on the cloud. Did you see any time Google announcing its server as downtime? No wonder, Google never faced any downtimes in the past few decades. Thus, in scaling hosted infrastructure, cloud hosting offers an untapped versatility. Some of the solutions provided by cloud-hosted are cloud desktops, storage and servers and more to go. In digital technology, cloud hosting is the latest trend that is becoming extremely popular. The main concept behind cloud hosting is “Divide and Rule”. The infrastructure is spread across multiple servers and is distributed according to its need. As discussed above by taking an example, the reason for Google’s no downtime and no server breakdown is the use of multiple servers itself. In a cloud setting, an individual server carries out specific tasks. 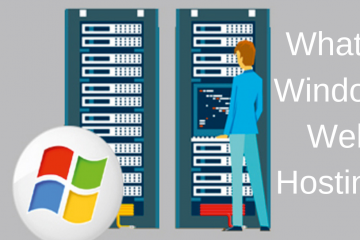 If there is any malfunction in one server, other servers provide a back-up capacity. That is the reason, there will be assured ongoing accessibility of hosting services. Whenever there is storage of data on multiple servers the information is spread across various redundancies and ensures that the website is accessible always. Another noteworthy feature of cloud hosting is it falls under the umbrella term of Iaas and Paas. Cloud hosting offers numerous elements to manage the website from management tools to cloud storage. Cloud services are primarily designed from the point of non-technical users. Through cloud hosting, you can set up FTP accounts, manage domains, edit databases perform numerous other functions. There are various security measures right from ID scanners to security cameras. Cloud hosting is known for its shared resource to website hosting. 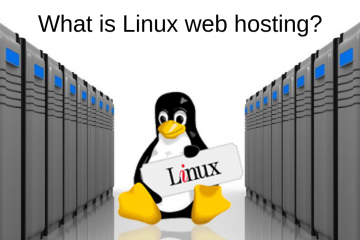 Your website utilizes a pool of resources offered by hosting service and stored remotely. Using an infrastructure backed by many other cloud hosting providers and users, and numerous websites make it more speed. 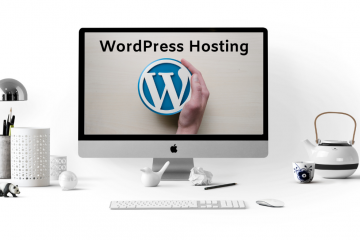 On the other hand, VPS or dedicated servers seek to address the problem by dedicating only a single server resource particularly designed four your use. The only difference between cloud hosting and dedicated is that you have your own single server. You aren’t sharing with any other users. A dedicated server is always expensive. For instance, take a diamond, when you bought a single diamond it becomes a costly affair than you buy a chain. Similarly going for a dedicated server is owning a single diamond. The performance of both dedicated and cloud matters a lot for high-traffic websites. If there is low-budget or expect less traffic, lease VPS. To climb the ladder, one has to take the baby steps. Similarly, Cloud hosting took those initial steps and came a long way. At present, many large organizations have been adopting for years. If there is a modification in the pricing structure, even the small business owners can have a look at it. Having said that, the prices have remarkedly came down within 4-5 years that compels the mid-size organizations to make a shift towards the cloud arena. Though many businesses made a noteworthy investment, others are still lagging behind. The only factor for not being adapted to cloud computing is the cost factor, which is burdensome for small organizations. But in the coming years, there will be a drastic shift and continue to develop. In fact, it is not too much of exaggeration but one day everybody will be on the cloud. Cloud computing is generally used to define the data centres available to many individuals over the internet. Large clouds, that are predominant today, often have distributed regions from a single-point server. If the connection is relatively nearer, it may be designated to an edge server. As of today, Amazon AWS(Amazon web service) is the largest public cloud. To achieve economies and coherence of scale, cloud computing entrusts sharing of resources.